Oh what a year it has been! 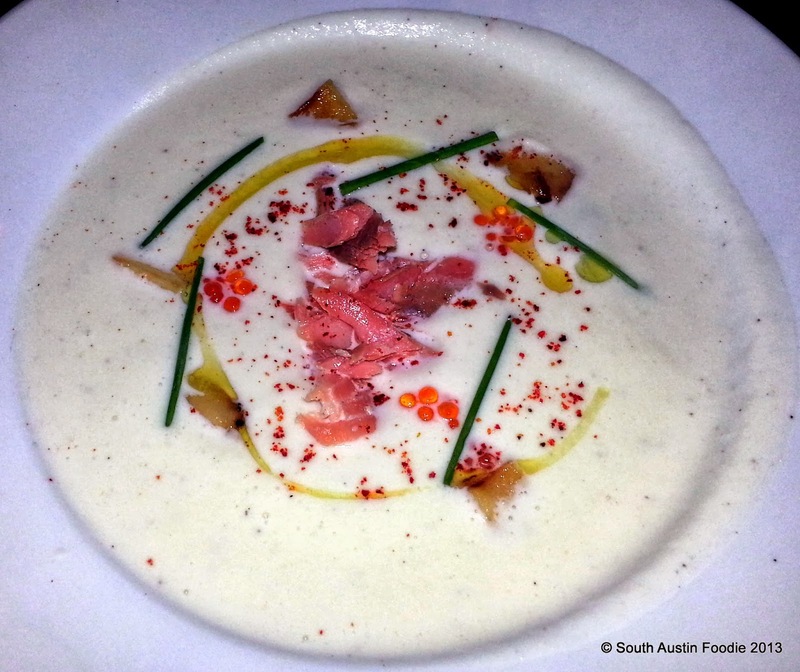 We've seen some great new spots open up in South Austin; here's a look at what's new this past year. Flour + Vine -- I've only been for a tasting, but was very impressed with the food; they haven't really figured out how to use social media to their advantage. My previous post is here. South Lamar and Riverside. Odd Duck -- The former trailer that started it all for Bryce Gilmore of Barley Swine; they opened in December and I hear great things about the food, but haven't been yet for myself. South Lamar and Gibson. 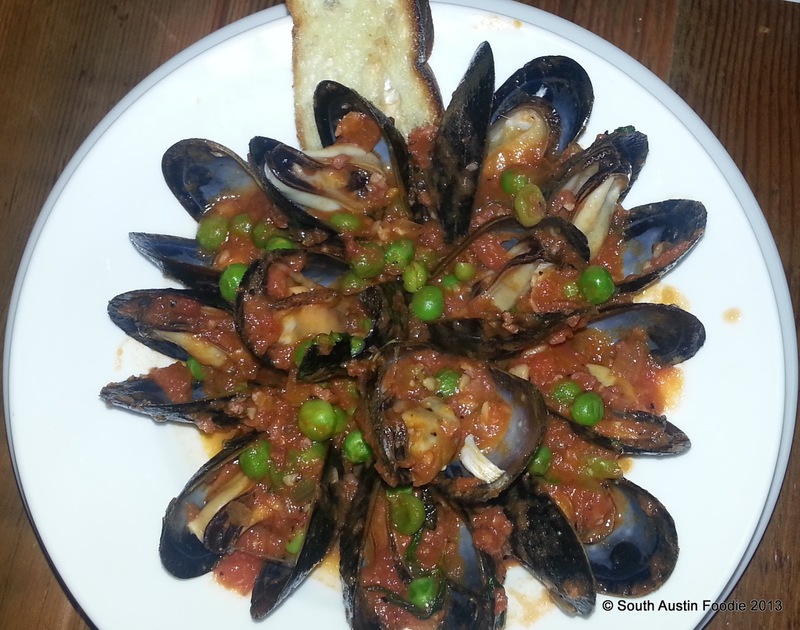 Barlata -- Genuine Spanish tapas on South Lamar! Charming spot, very modern/industrial architecture; good food, though the paellas have tended to be on the greasy side. Happy hour (in the bar area only) is a great value, with select dishes and drinks being $5. 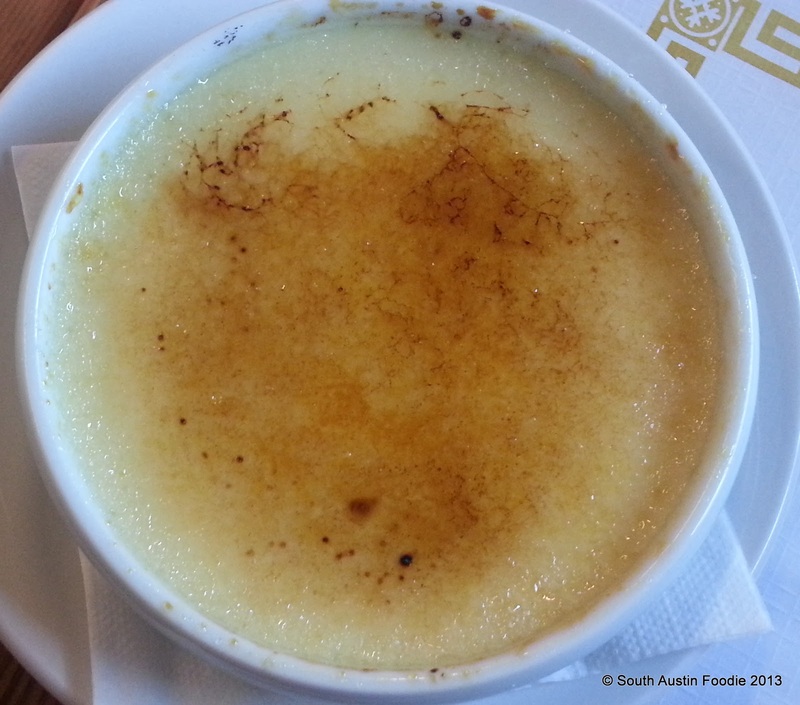 Amazing crema catalana for dessert! (I've had it several times and it's always velvety smooth.) My post is here. South Lamar and Collier. 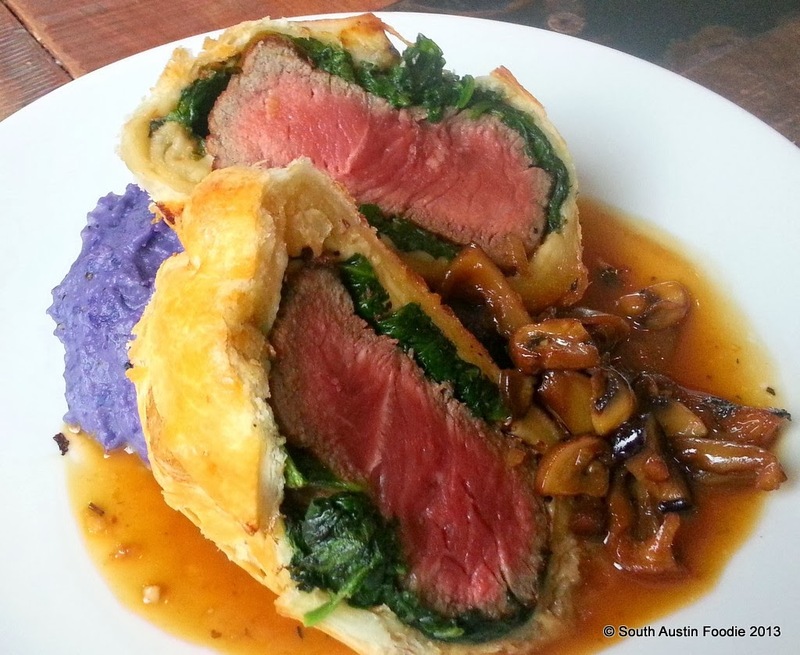 East Side King -- The latest from Paul Qui's empire, and his first foray into South Austin. ESK stems from his Asian fusion food trucks on the east side, each with a different menu. South Lamar and Goodrich. 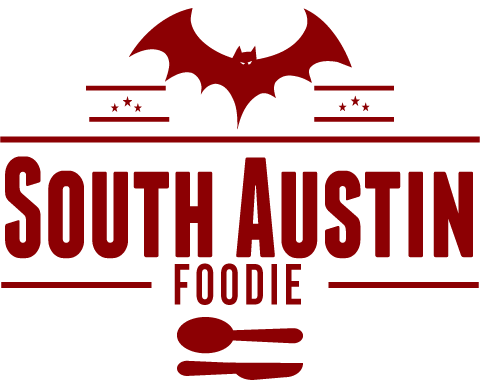 Austin Beer Garden Brewing (ABGB) -- House-brewed beer and house-made pizza. Both fine. West Oltorf and Thornton (one block east of Lamar). 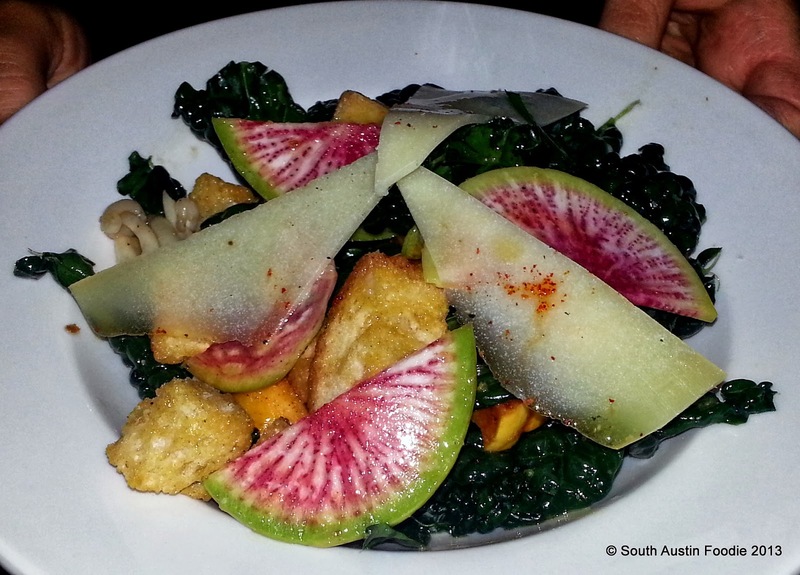 Winebelly -- Another small plates restaurant, Winebelly has a shabby chic feel, and seasonal menus. I'd go back in a heartbeat! My post is here. South First and Oltorf. El Chile -- Once just a Manor Road favorite, South First and Mary Streets can now claim El Chile as their own too. Casual Tex Mex, with lots of good food and not a lot of grease. Patio seating too. 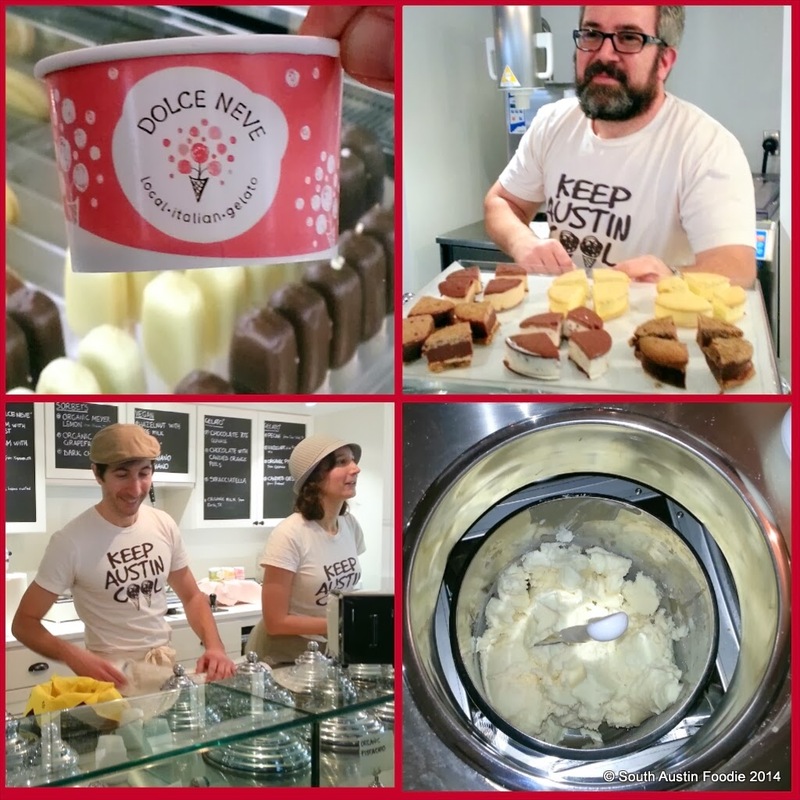 Dolce Neve -- A true gelato shop, owned and operated by three Italians. They use the traditional method of making gelato and utilize local and seasonal ingredients whenever possible. Deeeee-licious! South First and Annie. Little Barrel and Brown -- Haven't heard too much about this one yet, but it replaced The Woodland and is in a great location in the heart of trendy South Congress at Annie. 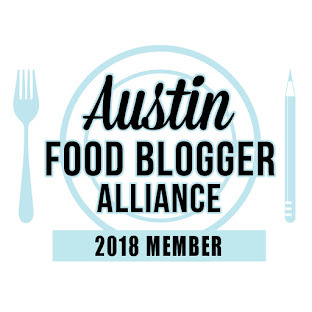 And of you're looking for some recommendations for vegan, vegetarian fare, and other cuisine in South Austin (and all around town), check out some friends of mine!